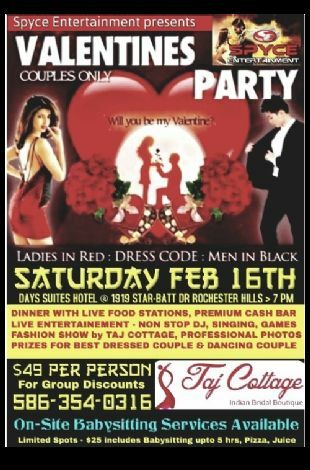 Please note Valentine Party - Night Of ISHQ occurred in past. 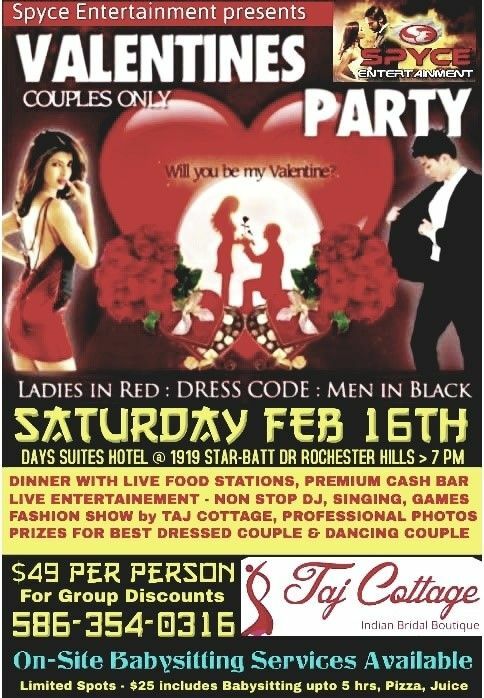 Don't Miss the Biggest Valentine Party in Detroit! Enjoy Authentic Dinner, Fashion Show, Live Entertainment with DJ, Singers and Dance Performance, Pictures and Portraits by a Professional Photographer, Games, Prizes and much more..